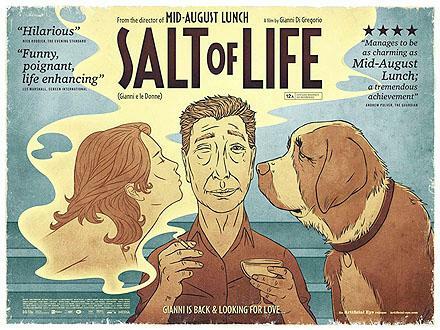 This film follows the 2008 film, “Mid-August Lunch,” which was a part of the Knickerbocker Film Series in October 2010. Gianni is 60. He is retired, but has not become lazy for all that. In fact he is a helpful fellow who gives a hand to all those who need one: shopping for his wife, walking the pretty neighbor’s dog, and so on. Everybody likes Gianni, but is it for the right reasons? Doesn’t his wife profit by the situation (she still works, so it is only logical that Gianni do all the chores)? Isn’t he subject to the excruciating whims of his rich mother? Sure, everybody likes Gianni, but who loves him? Being kind to them, he is the ladies pet, but he does not attract them anymore. That is why, when his macho lawyer friend Alfonso blames him for not having young mistresses “like every other senior Italian male,” Gianni, who is beginning to ask himself questions about what it is like to become old, starts pursuing the ladies. Tickets are $6 for regular admission and $5 for students and senior citizens, and can be purchased at the door. Please note that in observance of Good Friday, there will be no showing on Friday, April 6.